*Please note: Dispatch 1-2 days does not mean it will be delivered within in 1-2 days. 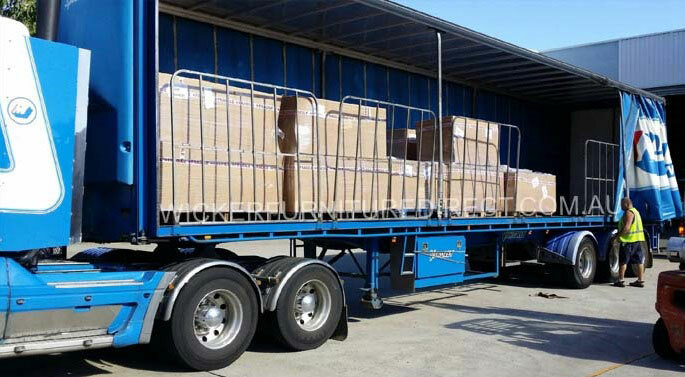 It means we will have your item onto the courier's truck in 1-2 days after purchased. "Hi just wanted to say thankyou for the outdoor setting we purchased Monday lunch time. It was delivered Tuesday morning at 9 am . That's Sydney to Wauchope (mid north coast)in less than 18 hrs. Fantastic . We are very happy and look forward to shopping with you again soon." "Good afternoon, We just wanted to thank you for the excellent service you provided when we ordered a new outdoor lounge and dining setting. Delivery was prompt and we are extremely pleased with the product. It has transformed out outdoor area to user friendly space. We would highly recommend your product to anyone looking to buy quality outdoor furniture. Thanks"
"I would like to leave a good note, i ordered the the victoria 6 seater dining table on Sunday and it arrived on Wednesday. We are really pleased with the quality and service and highly recommend the product and your business." Yes, you will be issued with an email containing your consignment number and tracking details on the same day your item is dispatched. Does someone need to be home to sign for the delivery? No, upon your request we can make an arrangement for your package to be left at your front door . Alternatively we can ask the courier company to contact you to arrange a suitable delivery time. Can I specify a delivery date for my delivery ? Sydney Metro Areas: We will request the courier company to contact you to arrange a suitable delivery time. We can deliver on Monday to Saturday. Other States: We will request the courier company to contact you to arrange a suitable delivery time. Please note interstate courier company only delivers Monday to Friday. Can I delay my order delivery time? What happens to damage in transit? We offer FREE transit insurance so if there’s an issue we will send you a replacement. Our warranty department normally dispatches replacements within 7 days. Your replacement item also covered with transit insurance. Where is my order dispatched from? Can I do local pick up? Yes, you can pick up from our warehouse at Wetherill Park NSW. Bring your receipt for collection at our warehouse.